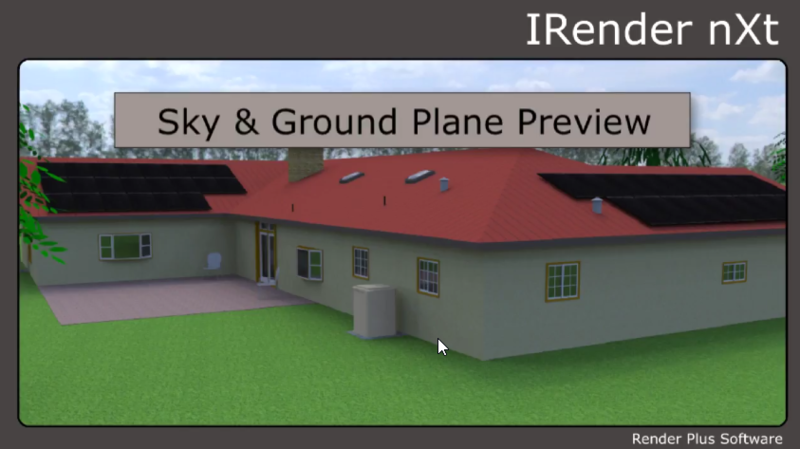 a quick demonstration of how to use IRender nXt's Sky and Ground Plane Texture Preview feature in SketchUp. 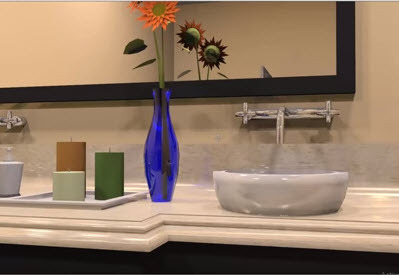 Indirect lighting methods provide soft natural lighting by bouncing light off of surfaces. 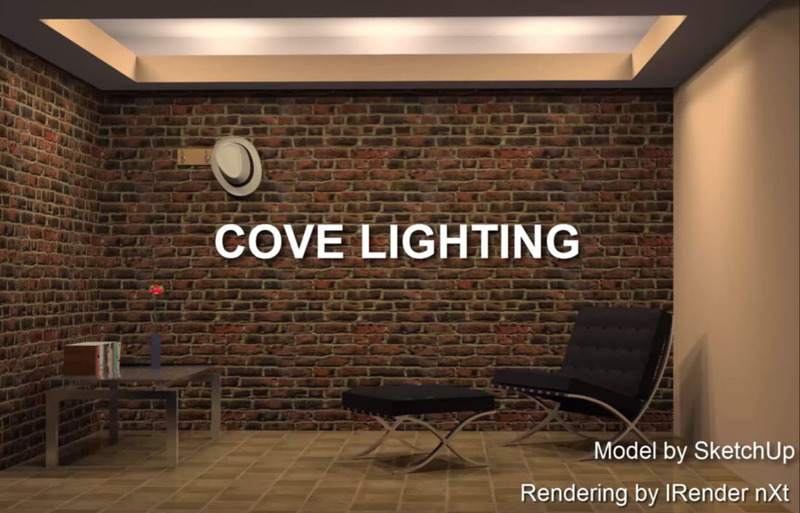 Cove lighting is one of many ways to conceal light fixtures while flooding a space with light. 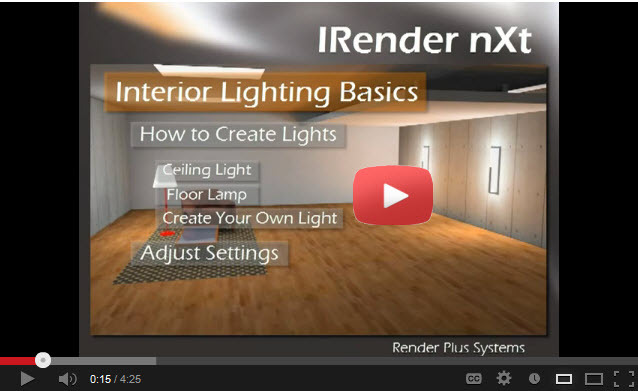 Lighting Presets are an efficient way to set lighting rules for your first IRender nXt renderings. 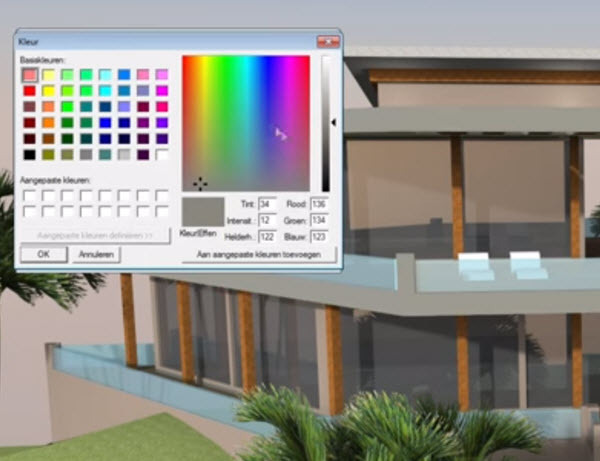 In this video tutorial you will learn how to use Lighting Presets to control the SketchUp Sun and Sky. You'll also learn about an advanced rendering technique using High Dynamic Range images (HDRI) to provide natural lighting for your model. 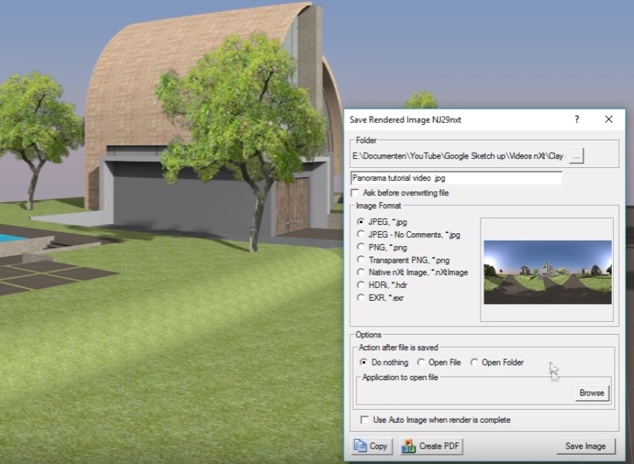 This Video Tutorial explains how to use IRender nXt to create a high-quality, photo-realistic rendering from your SketchUp model, with out making any changes to the model, or adjusting any rendering settings. Make great renderings with out making any changes to the model, or adjusting any rendering settings. Highlights and surface reflections are the best way to add realism to your renderings and they're easy to create in IRender nXt. 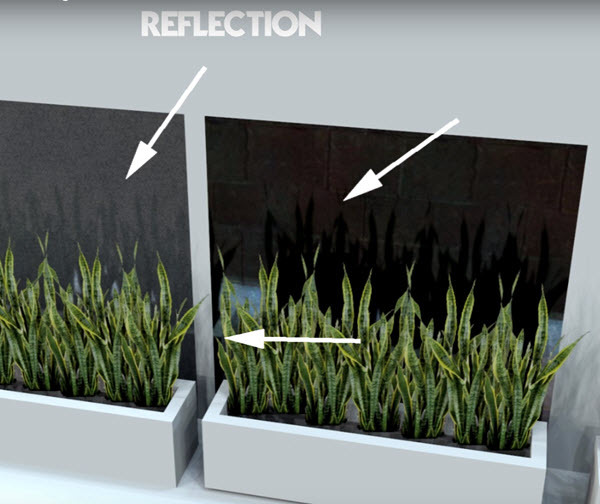 In this video tutorial we show you how to add reflection to objects and materials and fine-tune their settings for a beautiful, and realistic, result. 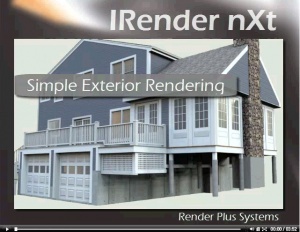 This video covers the basics of using IRender nXt including rendering a exterior and interior model and how to add lights and reflections. 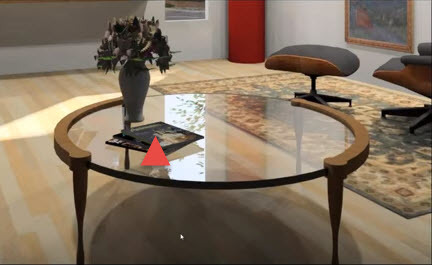 This Glass Transparency Video explains how transparency, refraction and intensity settings effect the transparent objects in your model. 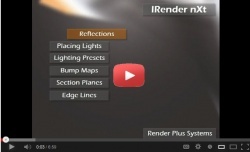 In this IRender nXt Features Video Dennis explains the value of each of these features and shows you how to use them. 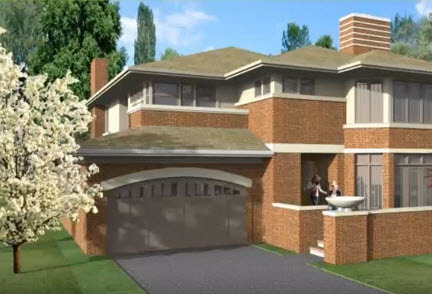 IRender nXt seamless SketchUp integration, lighting and material settings makes it easy to render photorealistic images. The Light Balancer is used to adjust the brightness of light sources - such as the sun and sky and interior lights. 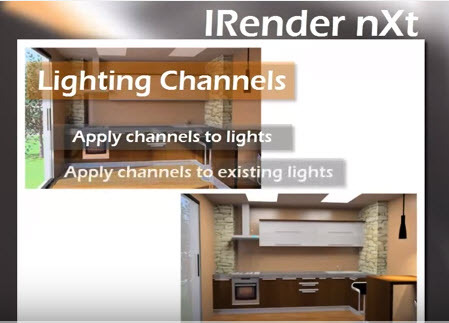 This video shows you how to quickly adjust the lights while rendering your SketchUp model with IRender nXt. 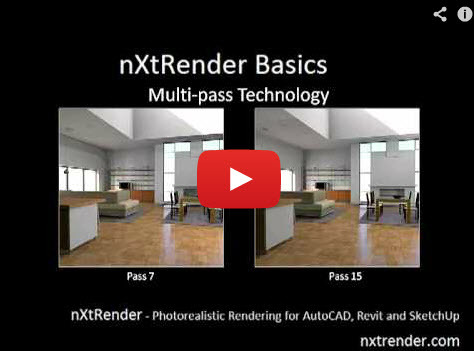 Multi Pass rendering lets you quickly see what your rendering is going to look like â€“ after the first few passes â€“ and the either change settings, or let the rendering continue go get better. 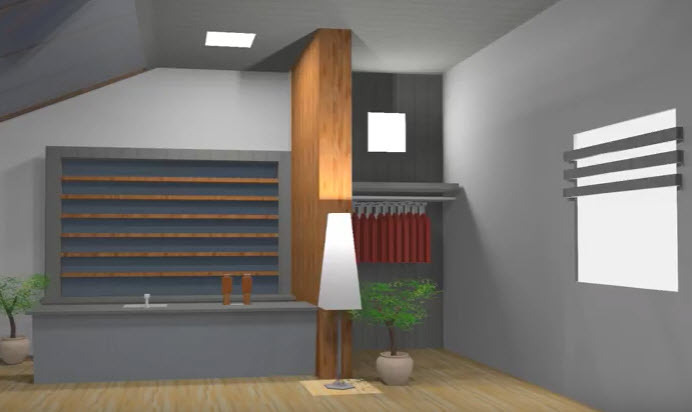 An introduction to advanced rendering techniques, create photo-realistic renderings from SketchUp models. Depth of Field, Lighting Channels, Material Editor, Material Libraries, Indirect Lighting, Panoramas . 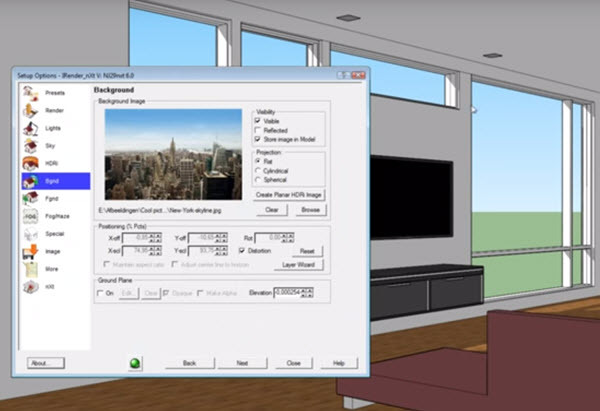 This HDRi Positioning Video explains how to position an HDRi Image around your SketchUp model. 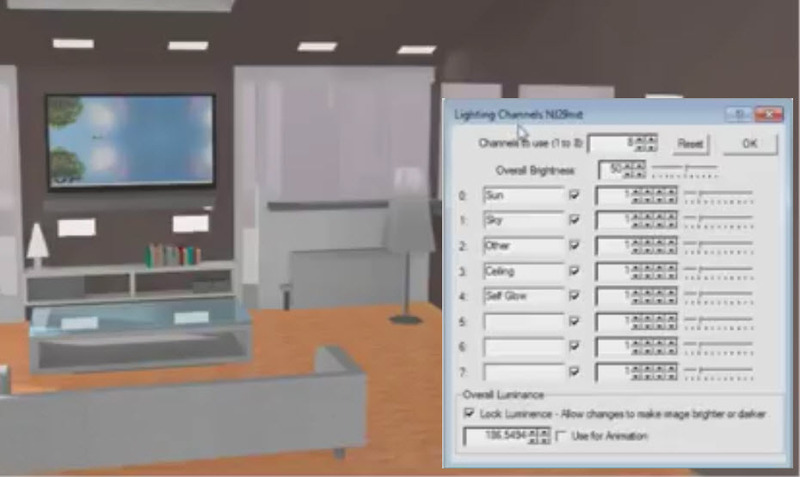 Lighting Channels make it easy to adjust the lights in your rendered image very quickly. You can even switch from day to night by adjusting the sun light. 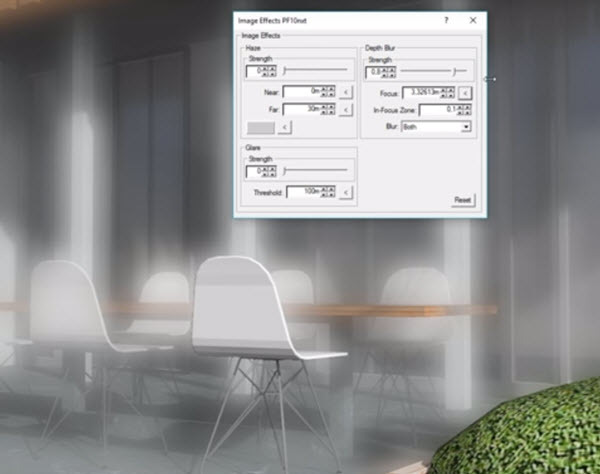 This video Tutorial Dennis explains how to render a scene with edge lines visible. Sometimes, details can be washed out in some renderings. 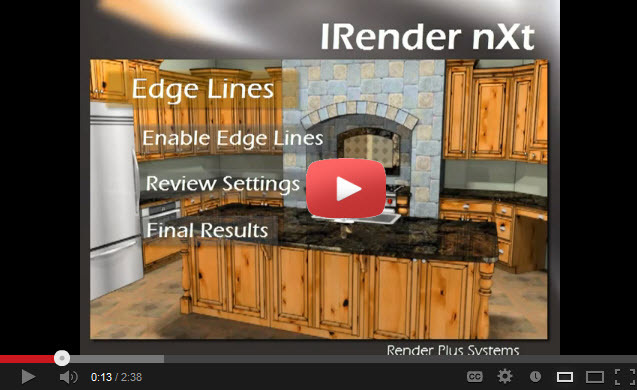 Rendering with edge lines turned on in IRender nXt can bring back many of those lost details. 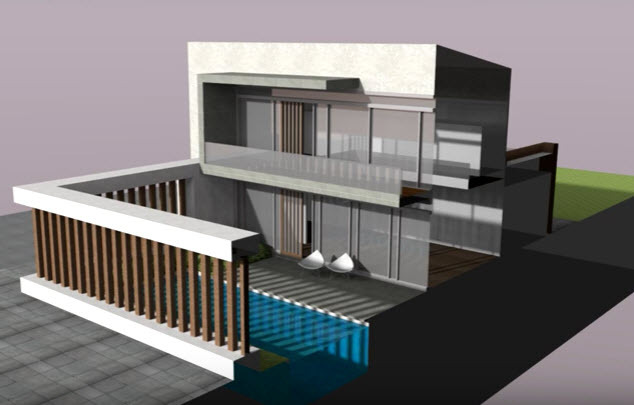 These images from the IRender nXt Image Gallery will show you what can be done using Google SketchUp and IRender nXt to create stunning presentations of your 3D models. 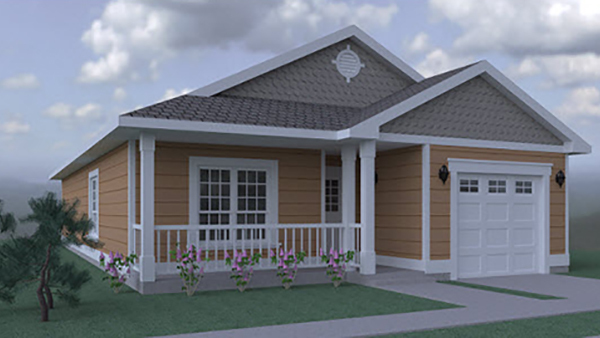 This is a sampling of renderings generated from SketchUp models and rendered with IRender nXt. 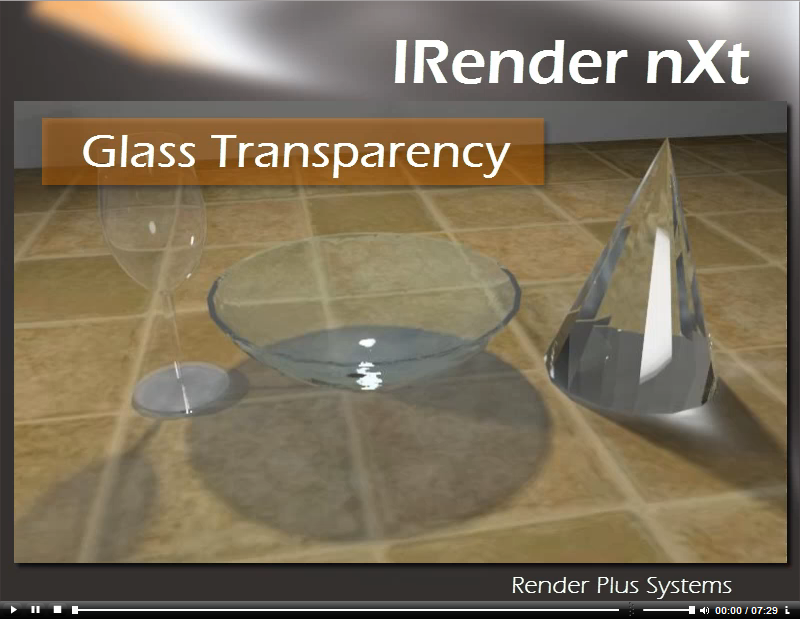 This is a very brief video tip - How to render glass in any color with IRender nXt. 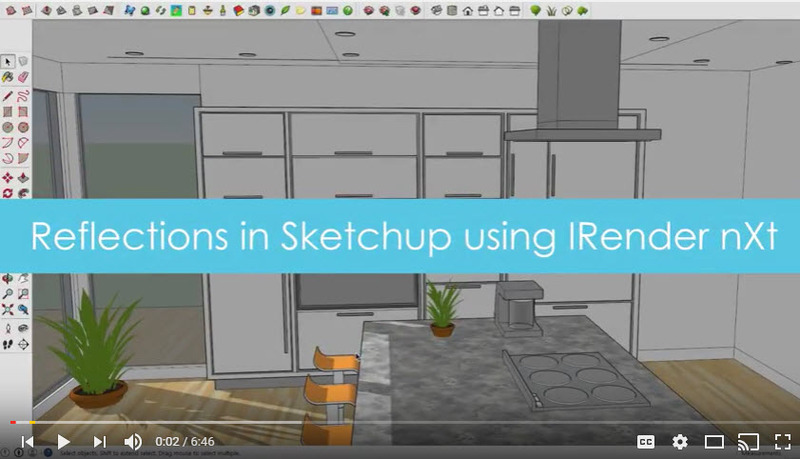 The method is easy to understand and will provide IRender nXt users with a reliable way to render glass in SketchUp models in any color. 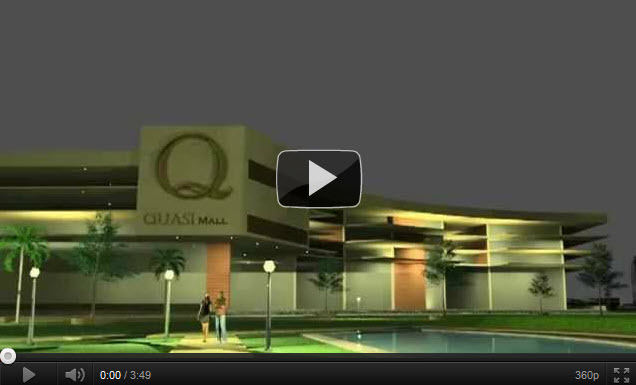 Water features add interest and detail to architectural renderings. 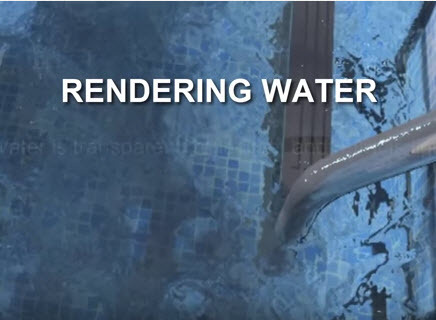 This video explores rendering techniques that make it easy to add realism to any water feature. 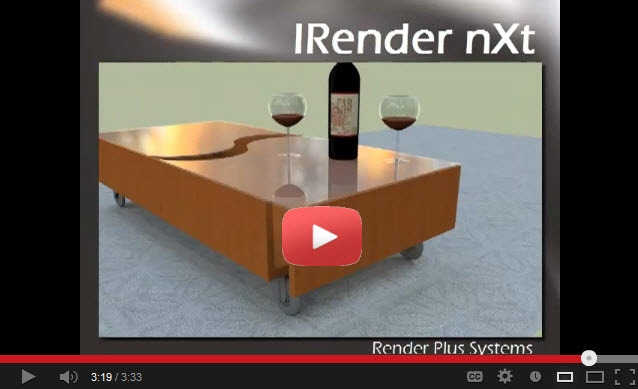 Today I'm back with a new Sketchup rendering tutorial using the render program IRender nXt. 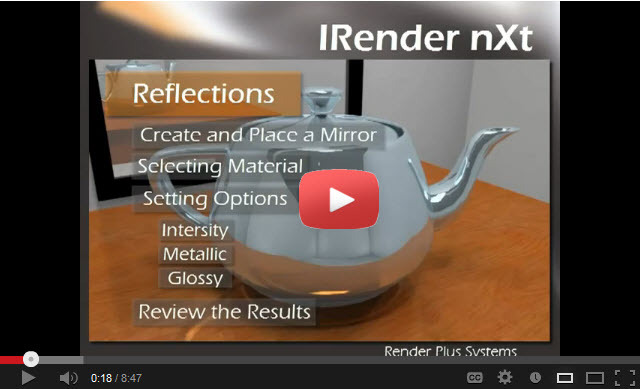 This time I show you how to add reflections to make your renders look much more realistic. 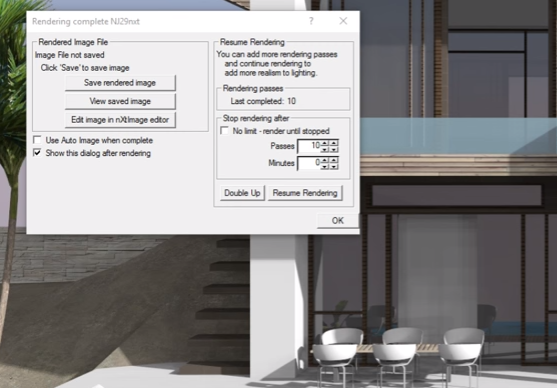 In this new IRender nXt rendering tutorial for Sketchup, I explain how you can save lots of time when rendering your images by using the resume rendering feature. 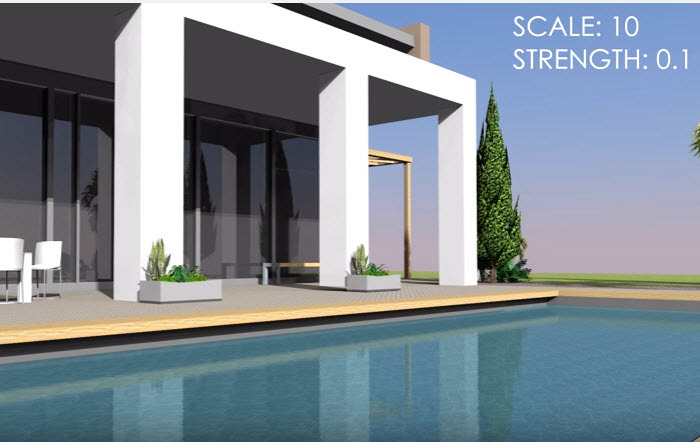 In this video I show you how to make the water in your Sketchup model look more realistic after rendering it using IRender nXt. In this video I show you how to manage lighting channels to make sure that the lights you've added to your model are perfectly balanced. 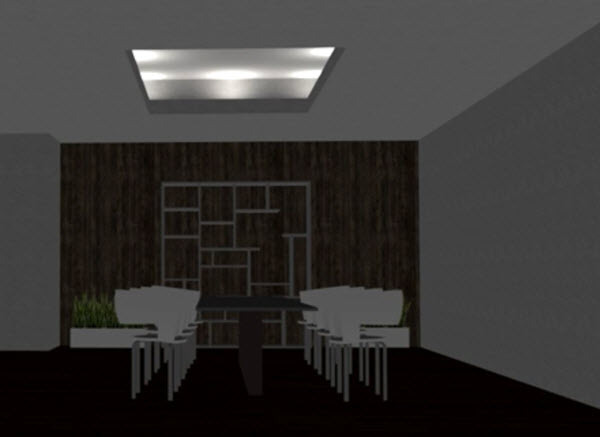 In this Sketchup rendering tutorial I explain how you can create diffused lighting in your model using IRender nXt. 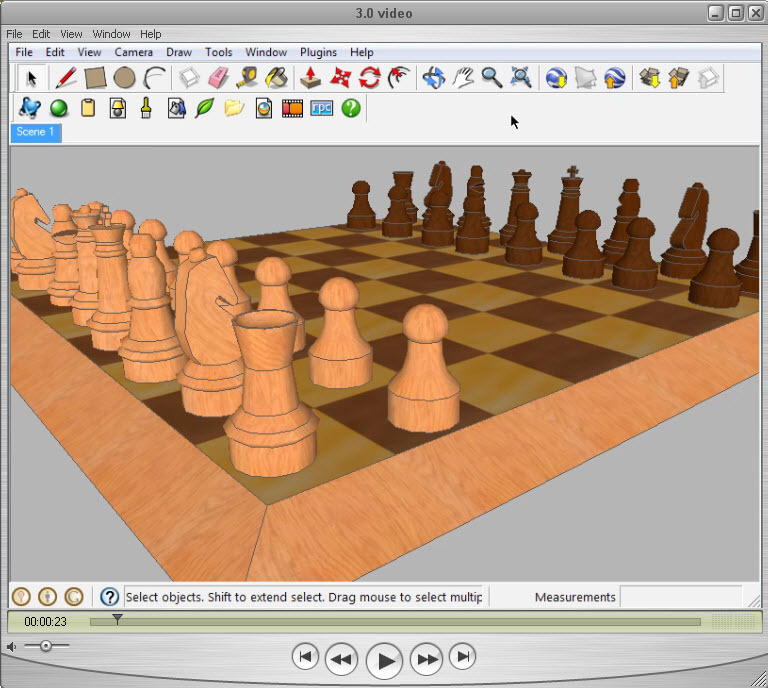 Adding blur or haze to your model in Sketchup is easy using IRender nXt. You can actually add it after rendering your image in only a few clicks! Auto reflection is a very useful and smart rendering feature in IRender nXt which will save you a lot of time rendering your Sketchup models. 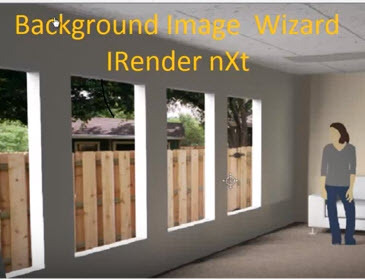 In this Sketchup rendering tutorial I explain how to add a background to your sketchup model, using the IRender nXt image layer wizard. Section planes in Sketchup are very useful for rendering interiors or other parts of your model which are hard to access. 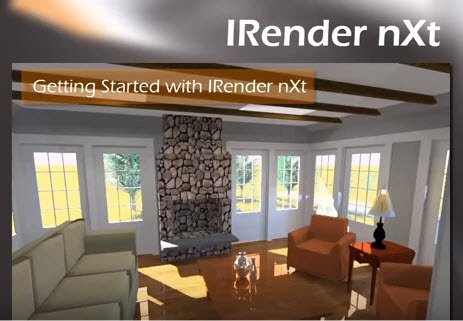 In this video I showcase one of my personal favorite features in IRender nXt: the feature which allows you to create a 360Â° image of your Sketchup model. In this video I explain how it works. 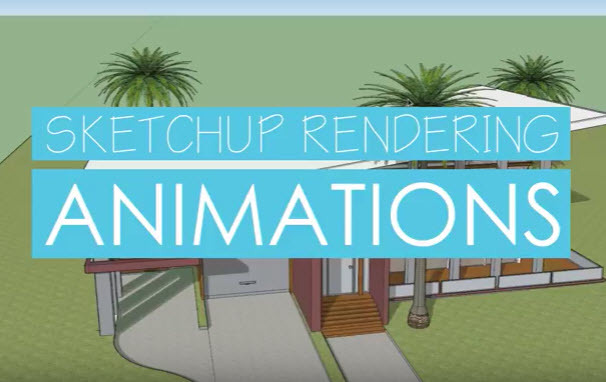 In this tutorial I explain how to make animations in Sketchup using IRender nXt.